IRVINE, CA--(Marketwired - May 01, 2015) - For over two years, PIXI Lighting has led the lighting industry with its very slim (just over half-inch thickness) troffer-replacement luminaire line due to its unique built-in driver that can be surface-mounted on any flat or hard surface from walls to ceilings and concrete to brick, suspended like a pendant, put into T-grids, surrounded with decorative wood trim or flushed into drywall. Architecturally blending into contemporary or traditional designs, Pixi luminaires use the same edge-lit LED technology found in premium high definition televisions to provide smooth, even, energy-efficient light without glare, flicker or hot spots. The patent-pending Pixi FlatLight ensures optimal light distribution and white uniformity that is cost-effective and aesthetically pleasing. Encased in powder coated, cold-rolled steel with included slide-and-lock steel mounting plates, Pixi luminaires are rugged, durable and long-lasting. 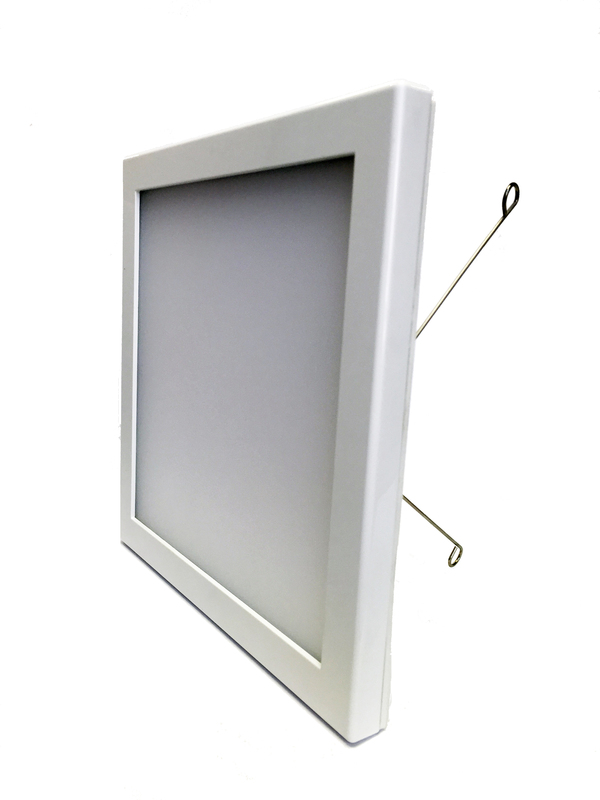 Available in beveled and straight-edged bezels, Pixi luminaires come in 2700K, 3000K or 4000K CCT (or warm and cool) versions in 1 foot x 1 foot, 1 foot x 2 foot, 2 foot x 2 foot and 1 foot x 4 foot sizes. 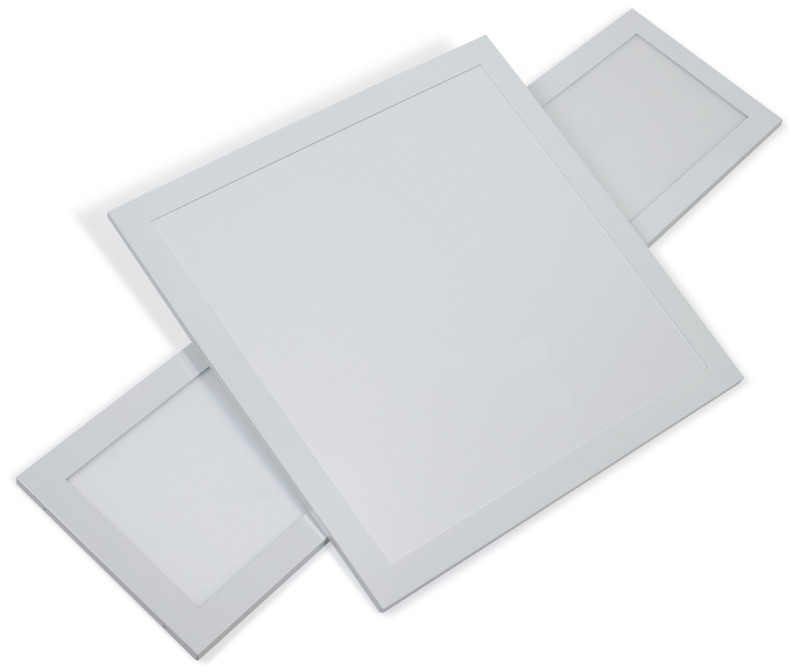 Ideal for both residential and commercial applications, the new Pixi FlatLight series has improved efficacy at a minimum 85 lumens per watt, Design Lighting Consortium certification, UL listing suitable for dry and damp locations, and cleanable diffuser plates. The new TruFlat™ fixtures maintain the line's very slim profile unlike most conventional troffers and luminaires which still utilize legacy technology form factors resulting in bulky, inelegant designs. Select Pixi models now have an expanded list of compatible dimmers which can be found at www.pixilighting.com. The Pixi Square series in 8 inch x 8 inch for easy Do-It-Yourself (DIY) standard and shallow recessed can retrofit replacement is now available for pre-order. Unlike conventional round can retrofits which can cast conically shaped lighting patterns, the Pixi Square offers 115° beam angle and 160° field angle virtually eliminating room shadowing effects. The Pixi Square bathes the room in a more natural light wash as the brightness output radiates from over four times the surface area of a typical round can retrofit. With the same edge-lit technology as the FlatLights (and premium televisions), the Pixi Square has no glare or hot spots. 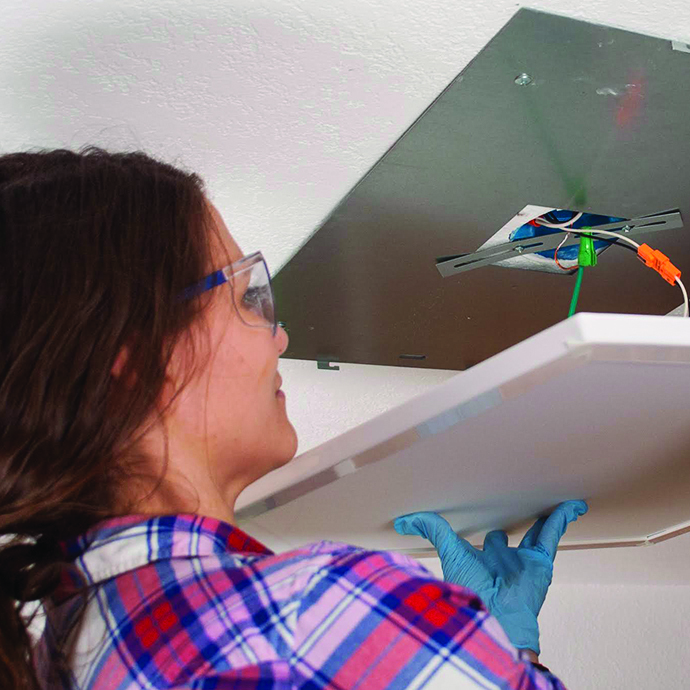 With the included light bulb socket adapter and spring clips, installing the Pixi Square into a recessed can is as easy as replacing a light bulb. 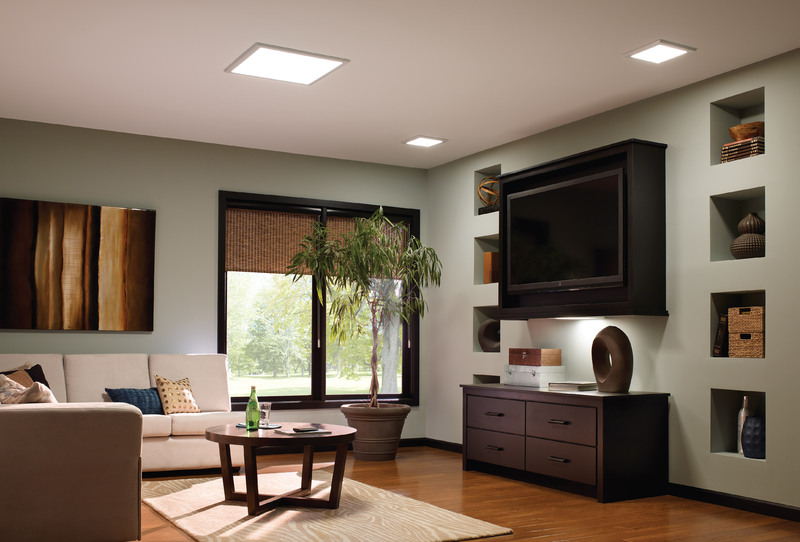 The dimmable Pixi Square is certified Energy Star, UL and rated dry, damp, and wet for indoor and outdoor environments. Discriminating households now have a square-look choice for their ceiling lighting can retrofits to match new square-shaped trends in bath and kitchen fixtures. "We are thrilled to introduce our latest FlatLight Luminaire series that maintain the 0.55" profile with improved efficiency and upgraded specifications," said Richard Myers, Vice President of PIXI Lighting. "Our latest FlatLight luminaires provide homeowners and designers with the utmost versatility for both home and commercial installations in a variety of applications. Also, our new 8 x 8 Pixi Square recessed can retrofit gives the designer a great new option other than conventional round widely available today." Pixi FlatLight luminaires are renowned for enabling lighting design innovations in tight spaces that cannot accommodate conventional LED luminaires that are 3 to 5 inches thick. From a pre-war building in midtown Manhattan that had an 8 inch plenum to a downtown L.A. industrial conversion with brick walls and concrete, from a Silicon Valley high-rise to a Chicago contemporary kitchen, from a Honolulu lanai's bamboo ceiling to a Midwestern four-car garage, Pixi luminaires have been surface mounted to plaster, variedly used as virtual skylights and wall sconces, dropped into T-bars, encased in walnut trim and suspended as a pendant over workshop spaces. Without a bulky, power supply brick and only about half-inch thick throughout, its application adaptability is limited only by the lighting designer's imagination. PIXI Lighting, located in Irvine, CA, was established to provide products that combine a passion for art and refinement with the innovative science of LED technology. The result of this distinctive technology is a unique line of lighting fixtures for residential and commercial applications that provides warm or neutral, natural light in the form of a flat, sleek and versatile design. PIXI Lighting transforms the centuries-old "light fixture/replaceable lamp" business model into a cutting-edge, technology savvy enterprise featuring thin and flat, solid state, all-in-one lighting devices that combine long-lasting, energy-efficient LED modules, practical and fashion-forward designs, and modern digital features and functionality. All products are manufactured without the use of mercury or lead, reinforcing PIXI Lighting's eco-friendly principles and values. For more information, call 888-925-7494, visit www.pixilighting.com.